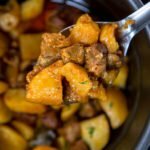 Instant Pot and Power Cooker owners, this Potato Stew Recipe is A MUST TRY! Braised Potatoes can now be made in one cooking unit! 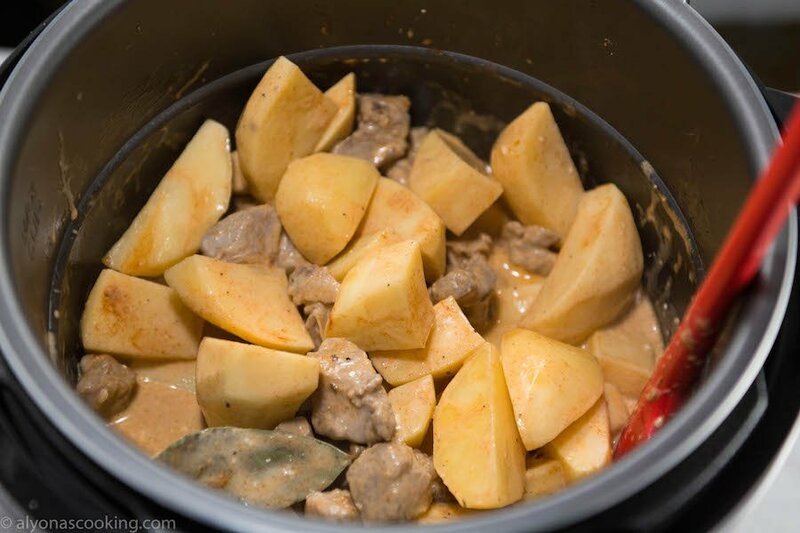 A delicious potato stew to try! 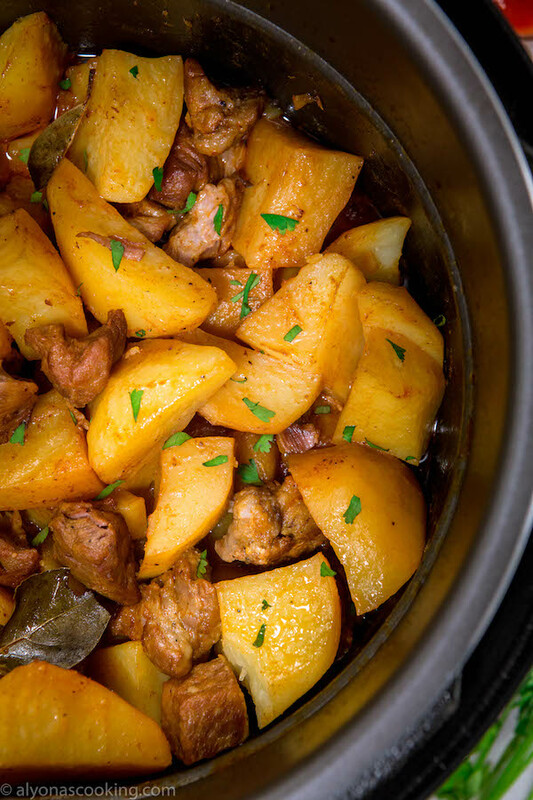 These braised potatoes are delicious! 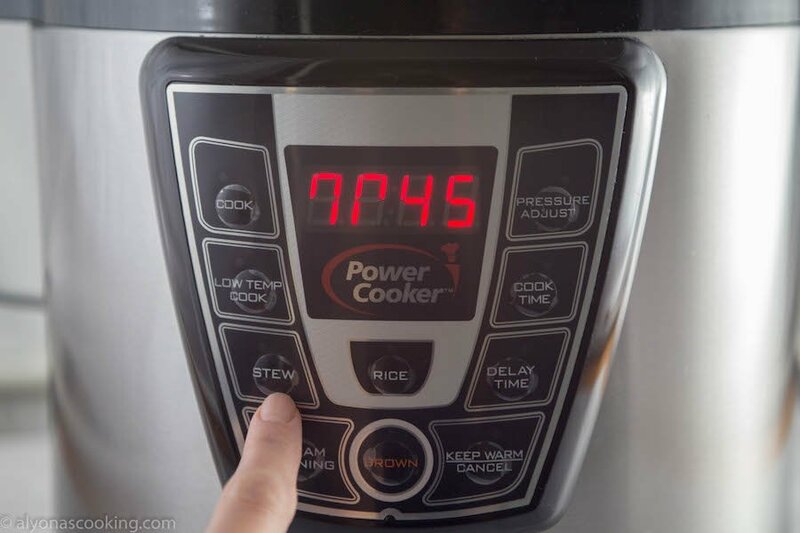 I have a similar slow cooker version and have included oven instructions in that post so go check that out if you don’t own a power cooker (or instant pot) unit. A Power cooker and Instant pot are very similar units, they are both programmable pressure cookers that have similar features. Although the instant pot has more features, such as a yogurt maker, they are both functional for this recipe. I will include a quick instructional for the instant pot version if that would be what you’re using. A recipe to try even if you don’t own a power cooker! 1. Select the BROWN button on your power cooker and sauté the meat in 2 TBSP of oil for 10 minutes. Cancel unit after 10 minutes and stir in the remaining ingredients. Push the STEW button and keep clicking it until it reaches 45 minutes. Cover cooker with lid and allow the pressure cooker to build up the heat. 2. When the pressure builds up the lid will lock and the moving digits on the side should stop. Your set time will start counting down. 3. After 45 minutes the unit will automatically keep it warm. To open the cooker, switch the release button and allow the steam to shoot up. Once it releases the pressure, the unit will unlock and you may open the cooker. 1. Select the Sauté button (twice for high heat) and sauté the meat in 2 TBSP of oil for 10 minutes. Stir in the remaining ingredients and cover with the lid. 2. Select the meat/stew button and then click adjust to change the cooking time to 45 minutes. 3. After 45 minutes allow the unit to rest and release the pressure properly before opening the lid. Please refer to your owners manual to operate all functions properly. 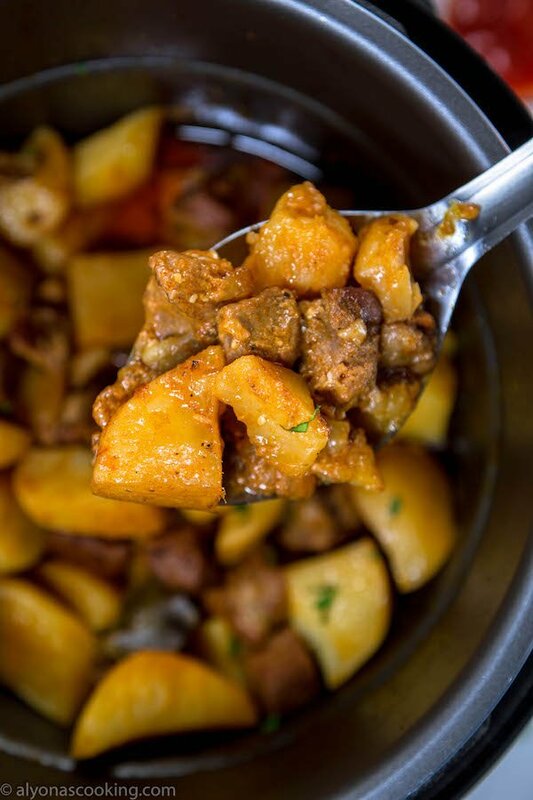 Instant Pot and Power Cooker owners, these Ukrainian Stewed Potatoes are A MUST TRY! Braised Potatoes can now be made in one cooking unit! Select the BROWN button on your power cooker and sauté the meat in 2 TBSP of oil for 10 minutes. Cancel unit after 10 minutes and stir in the remaining ingredients. Push the STEW button and keep clicking it until it reaches 45 minutes. Cover cooker with lid and allow the pressure cooker to build up the heat. When the pressure builds up the lid will lock and the moving digits on the side should stop. Your set time will start counting down. After 45 minutes the unit will automatically keep it warm. To open cooker switch the release button and allow the steam to shoot up. Once it releases the pressure the unit will unlock and you may open the cooker. 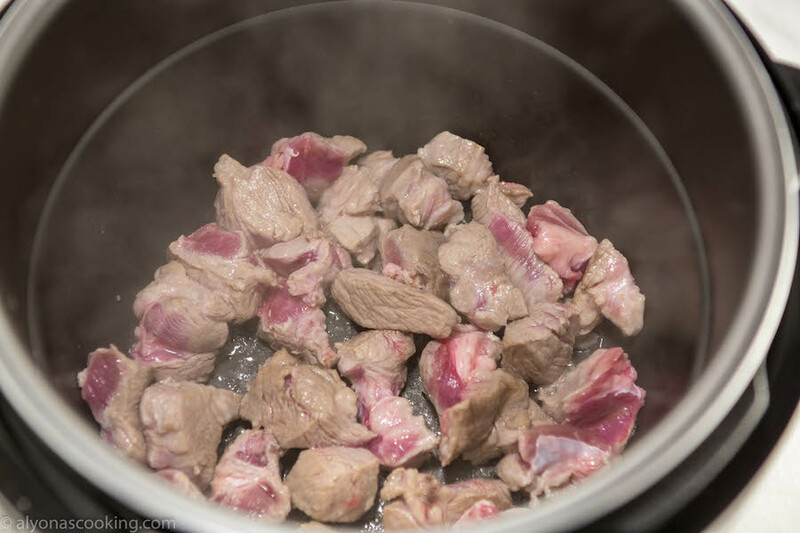 My pressure cooker does not have a stew setting, just high and low pressure. Given then length of cooking time, would this be done on low pressure? 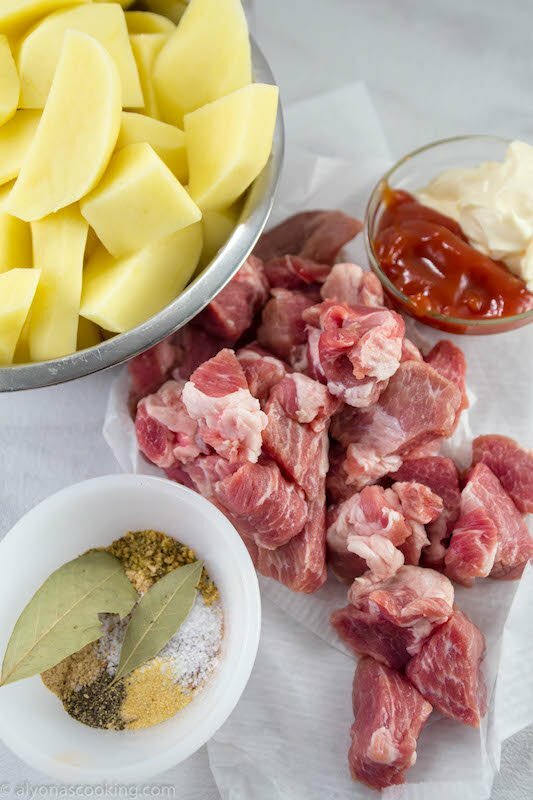 You would cook it over high pressure for tender meat. Let me know how it turns out for you.